This volume presents the views of senior air force officers and policy makers, including the Commander of the Bulgarian Air Force, on current and future requirements, priorities, capability development, and the overall decision-making framework for selecting a multirole fighter aircraft. The second group of articles presents respective decision-support concepts, methods and tools, and suggestions on roles the academic community, NATO and NATO agencies may play in the process. Editorial. "Advancing Air and Air Defence Capabilities: What and How?" 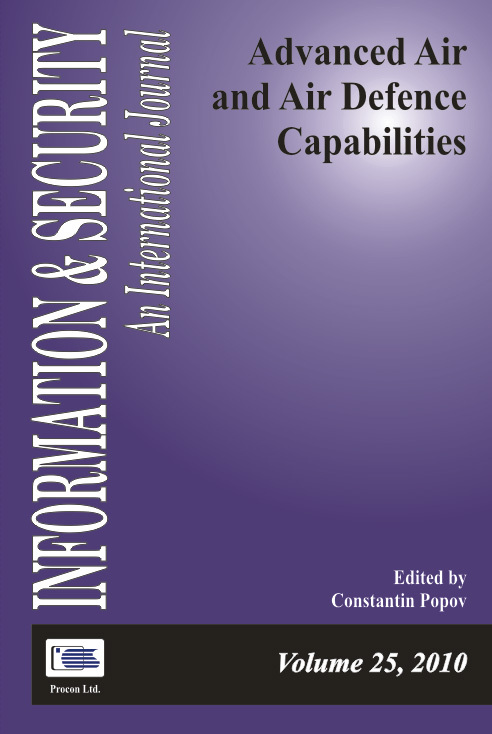 Information & Security: An International Journal 25 (2010): 5-9.